The new, expanded facility we created solved all the multiple problems of their prior facility. 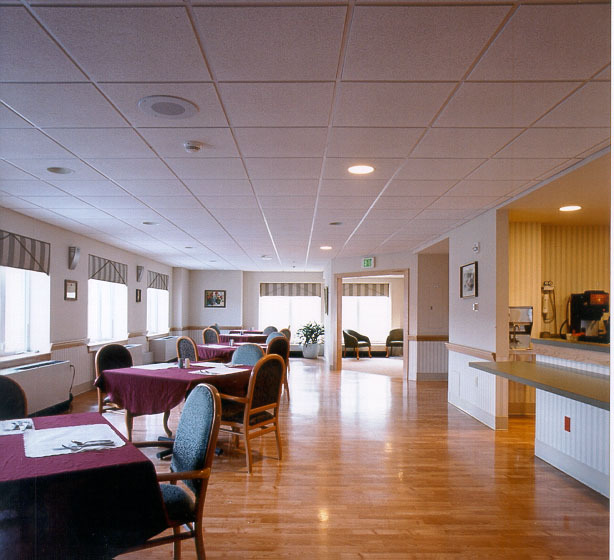 These included the need for more space, appropriately designed to promote efficiency for the nursing staff, and distinctively different areas for the needs of the independent living residents vs. those in assisted living. Of key importance was to reinforce the sense of living in a vibrant community environment instead of a health care facility. This was achieved by using design features indicative of a hospitality venue, with inviting outdoor living spaces, expansive use of windows, greenery, and luscious landscaping, and earthy Mediterranean tones in the building façade. With the new floor plan, we created separate nurses stations, one in both the health center and assisted living facility. 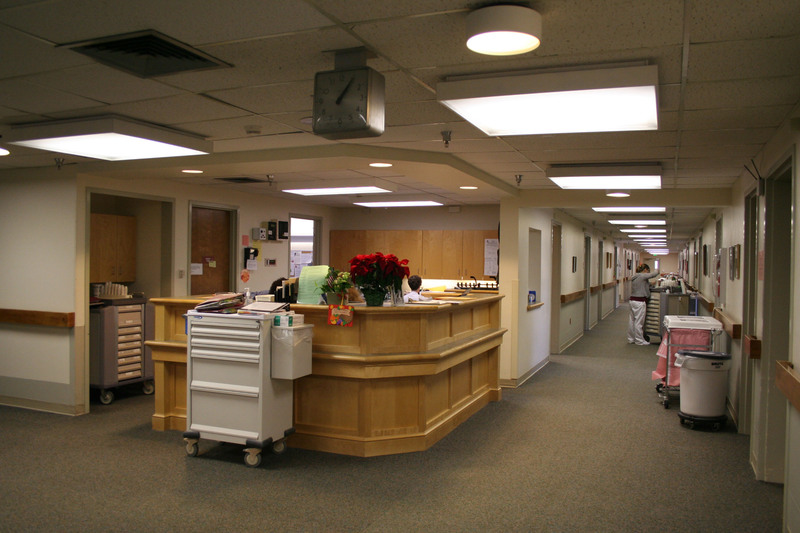 This puts nursing staff in immediate proximity to residents’ rooms and allows quick response times when there are needs, and ongoing resident monitoring without intrusion into their privacy. It also encourages more interaction between staff and residents, allowing for friendly relationships to develop. The new stations and room corridors are all updated with new fixtures, better lighting, neutral color schemes, and wide halls adorned with art from the Manor collection. When you enter at the main entrance, you immediately see the newly design library and café. 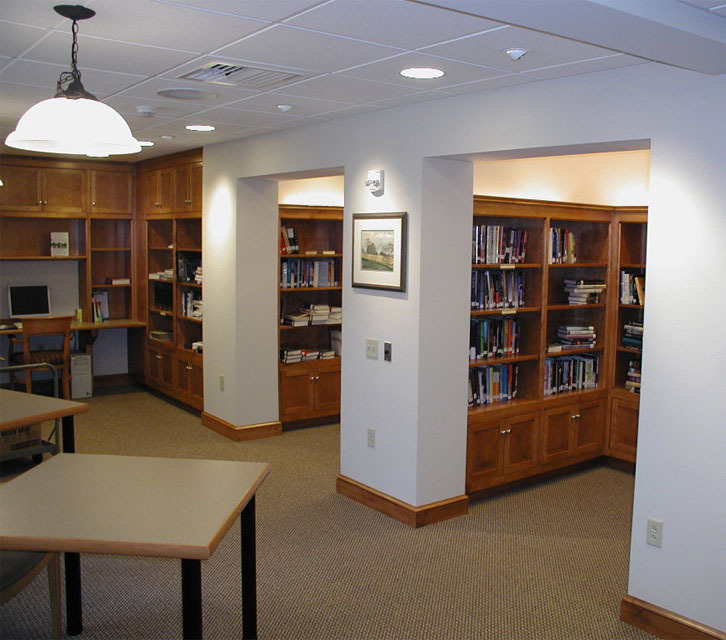 This is a popular gathering place for residents who use the computer workstations, reading areas, and research tables. 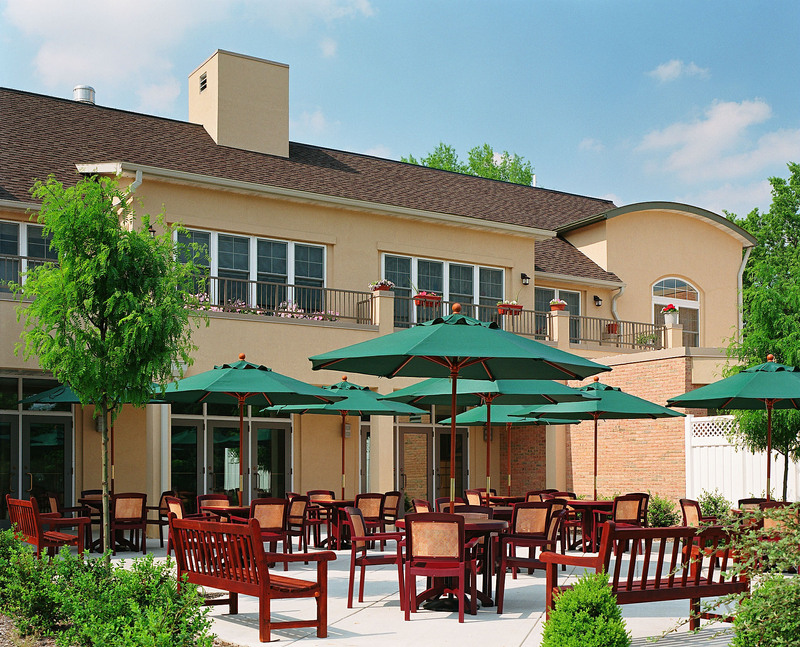 The café (not seen on the photo) is a casual place for socialization and interaction among residents, and is used by staff as well during break times. The new health center dining area, shared by apartment and assisted living residents, is now much larger. There is ample space for circulation between tables and a cozy, country kitchen atmosphere achieved through the selection of window treatments and wallpaper patterns, warm-toned wood floor. Apartment residents often use the kitchen space for personal cooking between scheduled meals. This room also doubles as an activity center for programs offered between meal times. Restrooms are conveniently located in the adjacent corridor. This exterior view of the new dining room wing shows the beautiful setting that can be seen from within, and how the new dining room wing connects to the assisted living building. 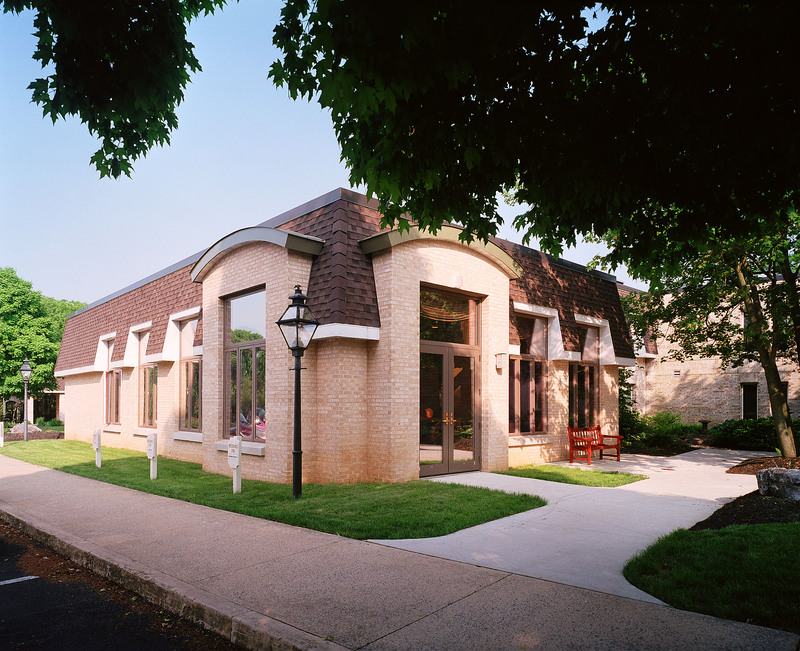 The exterior design of the new wing blends seamlessly with the pre-existing buildings while incorporating architectural elements in the style of the roof and new windows that add to the aesthetic appeal.